Special thank you to Elisha Neubaue, Mike Arnold and the Citrus County Chronicle for publishing an in-depth feature on ASI. 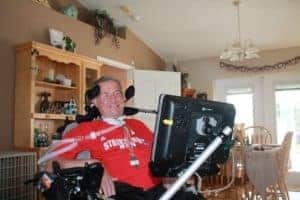 Disabled veterans with qualifying disabilities, such as ALS and some spinal cord injuries, can qualify to receive an autonoME through the Veterans Administration (VA). We also work with private individuals, in addition to installing units in VA spinal cord injury units, hospitals and long term care facilities. Thank you, Citrus County Chronicle, for helping us spread the word about our life changing technology!